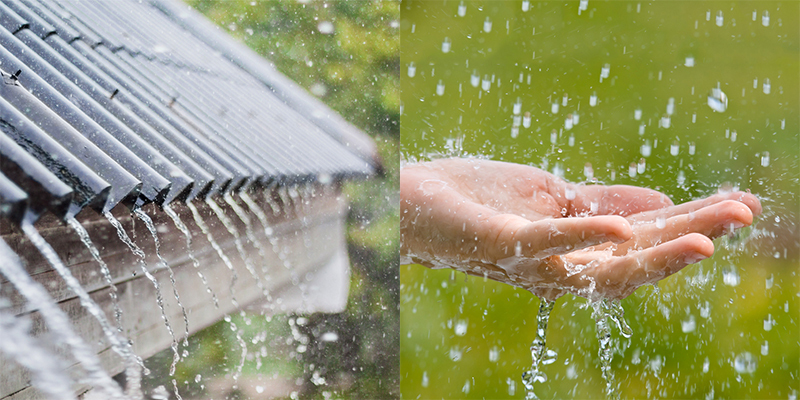 Rainwater is a valuable natural resource. As we continue to experience tighter water restrictions and rising costs, it may be time for you to consider installing a rainwater tank. The main benefits of rainwater is reducing your dependance on mains water, therefore saving money on your water bill and being a part of a larger global environmental water saving footprint - Reduce, Reuse & Recycle. Remember a rainwater tank is a long term investment, pick the correct size for your home to get the most amount of usage and savings. Rainwater can be used for many applications, watering, drinking, washing machine, toilets and can feed into your hot water system. Our rainwater specialist can discuss your options to best meet the needs for your family and home. What do you need to consider before purchasing a rainwater tank? Select the largest tank for the area you have available. Residentially space can be an issue, at 24/7 Hotwater Direct we can supply a large variety of tanks in sizes and shapes. Including Slimline tanks which are perfect for small spaces. Calculate how much rainwater you can collect. 1mm of rain on 1sq metre of roof area will give you 1 litre in your tank. What type of Tanks are available? Galvanised tanks - These tanks are both high-quality and durable, appropriate for various applications including storage, irrigation and fire. Urban Tanks - The Urban Tanks are a great value for money for option and ideal for the new home builder or investment property owner. Round Tanks - Designed primarily for suburban applications, this robust tank comes in a range of colours to suit your exterior decor. Thin Tanks - Designed to be non-invasive and aesthetically-pleasing, these tanks can be configured in any quantity to achieve your desired water storage capacity. Maxicube Tank - The Maxicube Tanks are a great value for money for option and ideal for the new home builder or investment property owner. You will also need to think about what accessories you may need. Get more information about drinking your rainwater.